We’ve all heard of The Girlfriend Experience, but what about The Grandpa Experience? 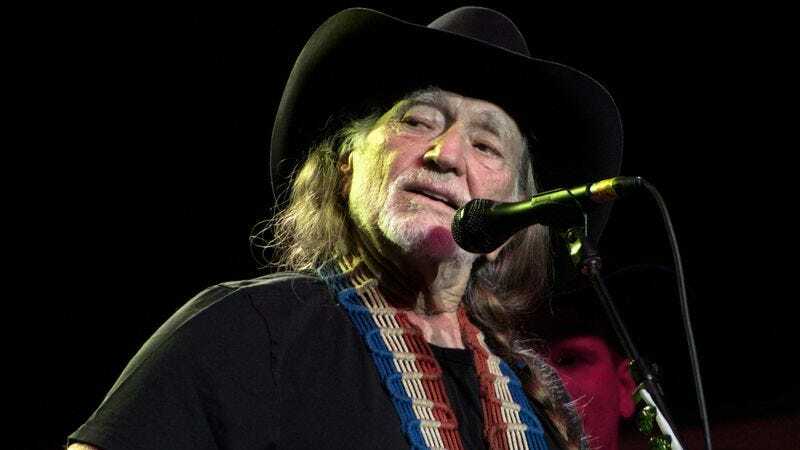 We’d certainly pay a generous amount of money to have a beloved celebrity patriarch like Willie Nelson tell us tales from the road and feed us hard candy while gently strumming his guitar. We’d even pony up extra if rocking chairs were involved. That’s never going to happen, but those of us not lucky enough to be in the Red-Headed Stranger’s inner circle can get a taste of life on the bus (not that bus) thanks to a new video on his YouTube channel. Called Card Tricks With Willie, the video shows Nelson performing an endearingly long, complicated, story-based card trick for his sister and pianist Bobbie Nelson. He doesn’t actually explain how he does the trick—or who the “Zeke” he learned it from is—but that just adds to the homespun magic. The overall effect is not unlike a warm glass of warm weed-laced milk (this is Willie Nelson we’re talking about).